From time to time we come upon ideas and objects there are difficult to classify precisely. Is this program behavior a bug, or a feature? Is this substance a floor wax, or dessert topping? If you were living in La Jolla serviced apartments, you might need to apply the same query to yourself: Am I a resident, or a tourist? Our advice: go ahead and be both, we won’t stand in your way. La Jolla Serviced Apartments: Any Hope for a 5-Day Weekend? 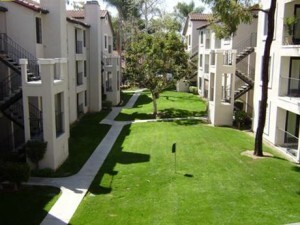 Life in La Jolla Serviced Apartments may make you start to wonder about things you have long taken for granted. For instance, why is the work-week 5 days long, and the weekend only 2 days? Isn’t that kind of backwards? Wouldn’t it be better if it were the other way around? Because it wouldn’t be a stretch to fill that 5-day weekend with activities. One day at the beach, the only difficulty being which one to pick, as there are so many nice ones in the San Diego area. Then another day playing golf at the famed Torrey Pines course. Reserve most of another day for shopping at any of the many malls or boutique stores in the area. A hike in the hills for a change of pace, maybe up Mt. Soledad, the tallest in the area. Last day, be a real tourist down in San Diego at Seaworld or the world-famous Zoo. Go ahead: wear a Hawaiian shirt, ironically. Sadly, the little daydream given above probably cannot describe your actual stay in La Jolla serviced apartments. If work calls you to La Jolla, then work you must! But coming home from work, after picking up the dry cleaning, to an apartment near the Pacific shore is not itself a terrible thing. The climate is mild, the sunlit hours long, and if there’s a place in La Jolla where you can’t view the sunset, we haven’t found it yet. Dining out, and later strolling along the coast to see Bird Rock, and maybe catch a glimpse of a whale. You will be feeling no pain in a La Jolla serviced apartment. Ready to move in? Give us a call today to find out what is available, or visit our Web site where you can browse all of our La Jolla Serviced Apartments here. This entry was posted in Serviced Apartments and tagged Apartments, La Jolla, La Jolla Serviced Apartments, Serviced Apartments on May 7, 2016 by Lee McDonald.